33. "Jonah Hex" (2010) Despite the efforts of Josh Brolin and Michael Fassbender, this is one of the worst comic book movies of the modern era. 32. 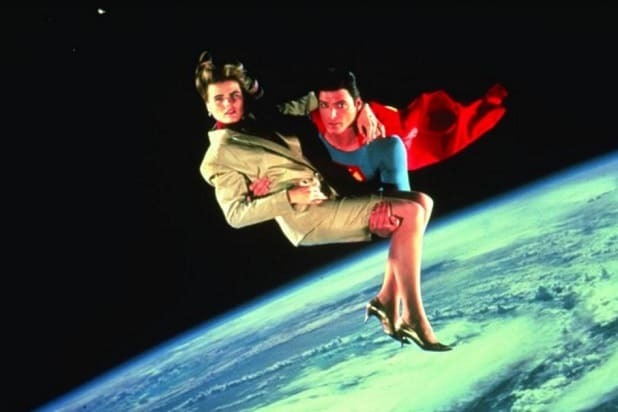 "Superman IV: The Quest for Peace" (1987) Christopher Reeve is by far the best Superman. But "Superman IV" is a bomb in every sense -- partly because of its heavy-handedness about bombs. Nuclear bombs. The film finds Superman trying to eliminate the world's nuclear threat, but his best intentions run afoul of a silly, badly dated villain named Nuclear Man. 31. "Supergirl" (1984) We had a female-superhero movie in 1984, and it was pure cheese. But hey, at least they tried. The best thing I can say about it is there are worse things in life than this movie. 30. "Suicide Squad" (2016) Less a movie than it is a fever dream of unrelated sequences and montages that somehow end up using more than two hours of your time. Totally incomprehensible experience. And, no, the extended cut doesn't do anything that warrants improving its standing. 29. "Steel" (1997) Best known as "the one Shaq was in back when he tried acting," "Steel" is pretty bad. But the fun kind of bad. 28. 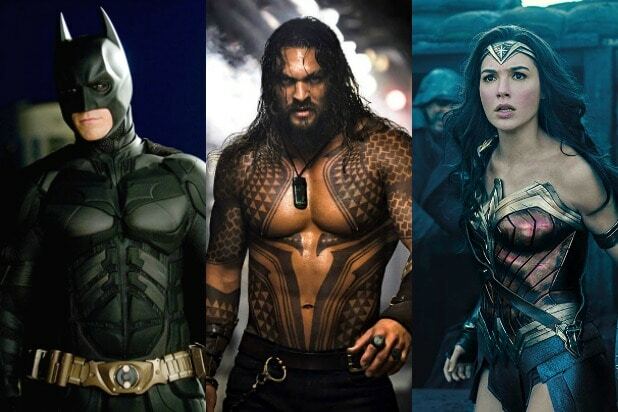 "Justice League" Warner Bros has continued to innovate in how to make bad DCEU movies, with "Justice League" managing to be terrible in a totally different way from "Batman v Superman" and "Suicide Squad." 27. "Man of Steel" (2013) Could have been worse, I guess. But it's still morally gross and has a plot that doesn't make sense. That it's very pretty to look at doesn't override those things nearly enough to make it watchable. 26. "Catwoman" (2004) Thoroughly horrible, but somehow amusing even so. Sad that it's seemingly been swept into the litter box of history. 25. "Batman & Robin" (1997) Rightly hated, but it's tremendously entertaining here and there. Uma Thurman and Arnold Schwarzeneggar are going so far over the top I can't help but admire them. 24. "Superman III" (1983) Featured a brilliant corporate rip-off -- one later referenced in "Office Space" -- but the attempt to funny things up with the addition of Richard Pryor didn't gel. There was also a weird bit about a weather satellite creating bad weather, which isn't what weather satellites do. Seeing Clark Kent fight Superman was pretty cool, though. 23. "Green Lantern" (2011) Overreliance on cartoony visual effects during a period when big blockbusters were moving away from that aesthetic meant this was a movie nobody liked. Not that it was especially horrible. It just looked like a dumb cartoon and is hard to watch. 22. "The Dark Knight Rises" (2012) Probably wasn't intended to be a grim and gritty Shumacher Batmovie, but that is indeed what it is. This is Nolan going full Hollywood, smashing plot points into place by sheer force of will rather than because they make sense. An extremely theatrical Tom Hardy as Bane is amusing front to back, and a nuke with a countdown clock on it will never get old. 21. "Batman v Superman: Dawn of Justice" (2016) A total mess that hates Superman and turns Batman into a total maniac. None of those things are good. Ben Affleck can't save the thing, but he's excellent nonetheless and gives it a huge bump it probably doesn't deserve. 20. "Watchmen" (2009) I have no particular affection for the revered "Watchmen" comic the way a lot of other nerds do, so my distaste for this adaptation isn't personal. It just doesn't add up to nearly as much as it thinks it does. 19. "Batman" (1989) Fondly remembered mostly because it was the first Batmovie in a couple decades. It isn't actually very good, though. The reveal that a younger version of the Joker killed Bruce Wayne's parents is as hamfistedly dumb as it gets in a "Batman" movie. 18. "V for Vendetta" (2006) Felt nothing watching this. I tried, OK. It's impeccably made, though, and very watchable. 17. "The Losers" (2010) Chris Evans, Idris Elba, Jeffrey Dean Morgan and Zoe Saldana. How was this movie not amazing? 16. "Batman v Superman Ultimate Edition" (2016) Giving this its own slot because it fundamentally changes the narrative of the movie and the character of Superman in the DC Extended Universe. This version is still not great (especially at three freaking hours), but it's a monumental improvement over the theatrical version. 15. "Red 2" (2013) Did you even know these were comic book movies? Whatever, it's a great cast in a serviceable action movie and everybody's having a good time. Hard to remember, but fun. 14. "Red" (2010) Better than its sequel, but they're basically the same. 13. "Batman Forever" (1995) Hits just the right tone for what Joel Shumacher was trying to do with the two films he directed. 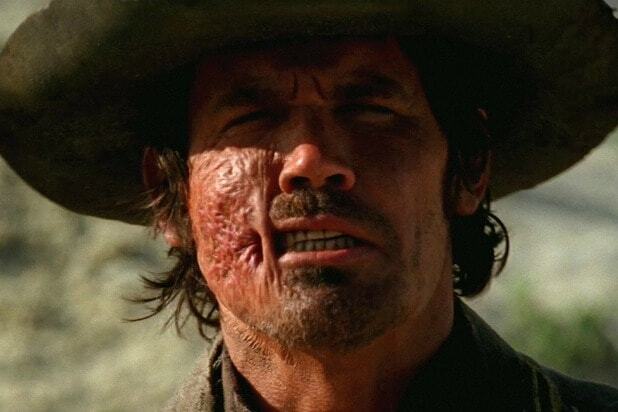 Tommy Lee Jones, as Two Face, is doing stuff in this movie that is hard to believe even today, given his perpetual sour face in nearly every other movie he's been in. 12. "Superman Returns" (2006) Actually a pretty decent attempt by Bryan Singer to do a Christopher Reeve "Superman" movie in the present day, but Brandon Routh couldn't pull off the charisma it takes to be the Man of Steel. It was his first movie, so that's not surprising. But it's a shame, because Routh has gotten much better in the years since. 11. "Batman: Mask of the Phantasm" (1993) Remember that time they released a "Batman" cartoon theatrically? It gets lost amongst all the live-action ones, but "Mask of the Phantasm" is better than most of them. 10. "The Dark Knight" (2008) Should be way shorter, but Heath Ledger's Joker is far and away the best villain in any of these movies. Ledger elevates what would otherwise be just another self-indulgent Christopher Nolan exercise into an endlessly watchable picture. 9. "The LEGO Batman Movie" (2017) Funny, sweet and self-deprecating -- exactly what we needed in the wake of the disaster that was "Batman v Superman." 8. "Superman II" (1980) Made kids everywhere cry as they watched Superman give up his powers for a normal life with Lois Lane (Margot Kidder). There are different edits of this movie, and we frankly can't keep them straight. But the sight of a powerless Clark getting beat up in a diner made Superman as sympathetic as he's ever been. 7. "Wonder Woman" (2017) Has the standard origin movie problem of "too much story, not enough time." And the standard DC Extended Universe problem of "We gotta have a nonsensical CGI battle at the end." But despite those caveats it's an enormous delight, and a big step forward for the DCEU. 6. "Batman Returns" (1992) One of the best of the franchise because it's really just a political thriller. The Penguin emerges from the sewer and runs for mayor of Gotham! It's great stuff, especially as we continue to watch the rise of Trump in our world. 5. "Constantine" (2005) A happy balance of serious and ridiculous, manages to find exactly the right tone for this weird religious fantasy and a cast led by Keanu Reeves. They all seem to get it. 4. "Aquaman" (2018) It's not often that we get a comic book movie that is: full on ridiculous; loves how ridiculous it is; and is made with skill by a legitimately great filmmaker. James Wan's "Aquaman" is all of that, and it's just a wonderful experience. 3. "Superman: The Movie" (1978) This is the gold standard of Superman movies, and was the best superhero movie bar none for many, many years. John Williams' score soars, and so does the believable and compelling romance between Superman and Lois Lane. The film convincingly blended camp (in the form of Gene Hackman's wonderful Lex Luthor), an epic origin story that actually felt epic, and funny lines. The scene in which Supes and Lois fly together is one of the most beautiful metaphors for new love ever captured on film. 2. "Batman: The Movie" (1966) Has a timelessness that none of the other films do, and it's just a delight from beginning to end thanks to Adam West's winking Batman and the coalition of villains who can't stop cackling maniacally. Watching it again recently, I found it functions almost perfectly as a parody of the super-serious Christopher Nolan Batfilms, which is incredible. 1. "Batman Begins" (2005) The most complete film, on its own, in the entire live-action franchise. It's just, like, a regular movie... except it's about Batman. It has actual characters and everything, and Christian Bale's Bruce Wayne even has emotions. It's weird.